The Irish Red Cross and Build-A-Bear Foundation are partnering to brighten life for children in need which will see Build-A-Bear donate teddy bears to the Irish Red Cross for distribution to families and children experiencing distress. Credit: Sasko Lazarov/Photocall Ireland. Build-A-Bear and the Irish Red Cross have partnered up to donate teddy bears to families and children in distress. The Irish Red Cross were inspired by a four-year-old Syrian girl called Serene, who donated her beloved teddy 'Bootsy' to a toy drive earlier this year. Serene and her family settled in Ireland during the conflict in Syria, and she wanted to help another Syrian child feel at home. As a result of Serene's kind gesture, the Irish Red Cross have announced a partnership with the Build-A-Bear Foundation "to brighten life for children in need". Members of the public are encouraged to attend a 'Stuffed With Hugs' event in one of Build-A-Bear's Dublin stores, where they can make a teddy bear to donate to the charity. Pictured at the launch of the partnership were Serene (4) and Callie (6). Credit: Sasko Lazarov/Photocall Ireland. Speaking at a Build-A-Bear workshop in Dundrum Town Centre, Serene said her wish was for "girls and boys who are sad to be happy". Her friend Callie (6) hoped her bear “would give a big hug to someone the same age as me who is lonely". The Irish Red Cross said they are "delighted" to be teaming up with Build-A-Bear to help children in need. "The Irish Red Cross is delighted to work with Build-A-Bear to give teddy bears to children during times of distress," Tara Justin from Irish Red Cross said. "The Stuffed With Hugs events will also raise awareness about helping those in need." Emily Fuhrman, Manager of Foundations and Giving at Build-A-Bear Workshop, said: “We are honoured to partner with the Irish Red Cross to provide teddy bear hugs to children in need in Ireland. "Our hope is that these bears can provide a measure of comfort and brighten their day." 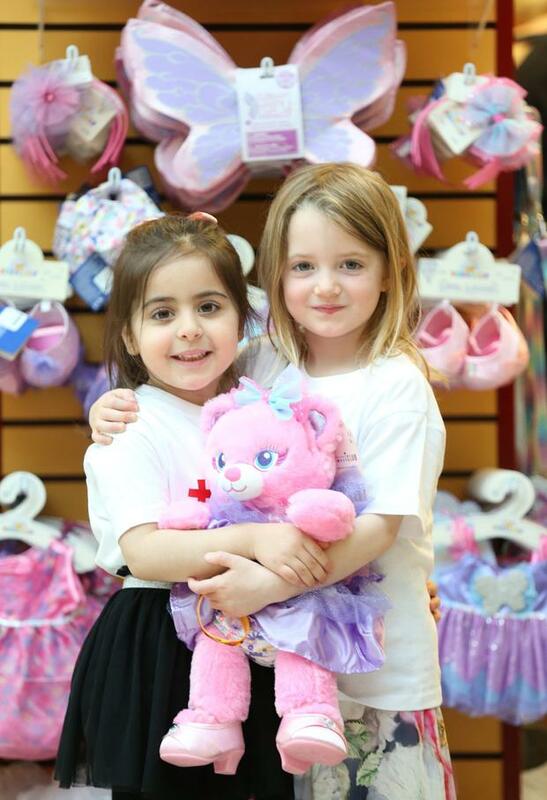 The first Stuffed With Hugs events will take place this Saturday 16 June at Build-A-Bear workshops in Arnotts, Blanchardstown Centre and Dundrum Town Centre. According to the Irish Red Cross, 40pc of Syrians that arrive in Ireland are under the age of 16, with many lacking toys to entertain them. 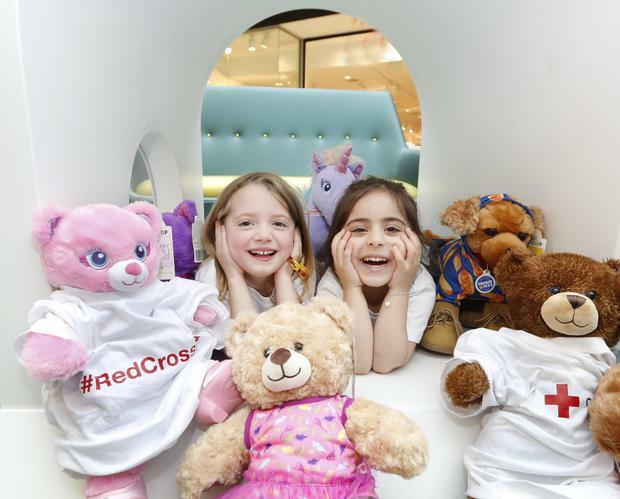 The Irish Red Cross and Build-A-Bear are also running “Stuffed With Hugs” events at Build-A-Bear Workshop stores in Dublin, where the public is invited to join in making teddy bears to donate. Credit: Sasko Lazarov/Photocall Ireland.